Stitched pictures of the view, courtesy of Hugin and Skitch (Photo: Luis). 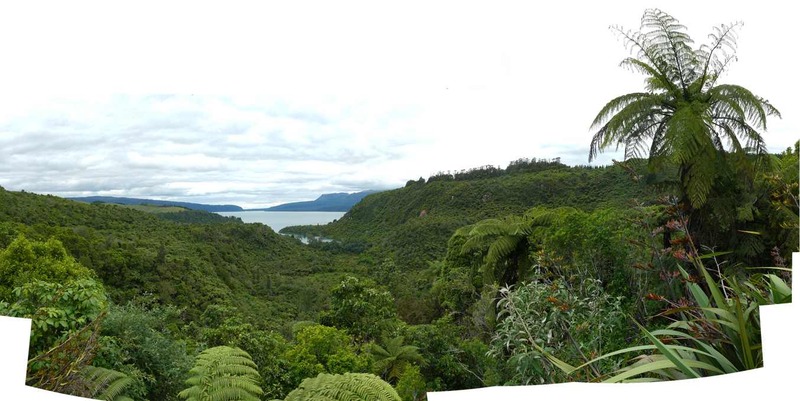 Traveling with friends and family, view from Green Lake towards Lake Tarawera, North Island, New Zealand. Time for walks, nice meals and setting R aside (although I have a few drafts for the blog soon to be published). Now back in the South Island we prepare for a great weekend with more walks, food and friends. Merry Christmas.